I am both honoured and humbled to introduce my next special guest feature for this blog, she is a good friend of mine, Olive Asi. 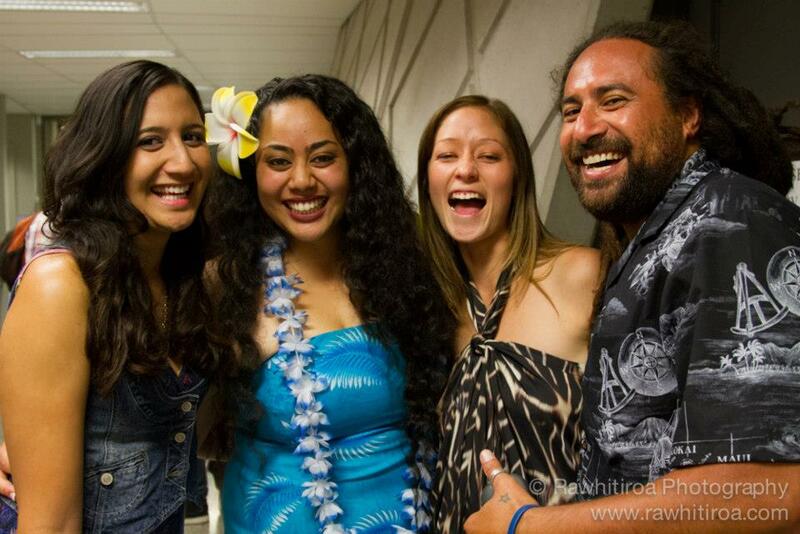 At age 22 years, this Samoan beauty has toured nationally with her involvement with live theatre. She has acted in theatre productions such as Girls Show (2008), Fitz Bunny (2010), Fale of Troy (2010), Uso (2011) and Havoc in the Garden (2011). In addition, she is one of the original members of the South Auckland Poets Collective (SAPC), a collective which was formed in 2007. In 2012, she travelled with members of SAPC to America to perform spoken word. During that trip, she attended the Brave New Voices Conference in San Francisco. 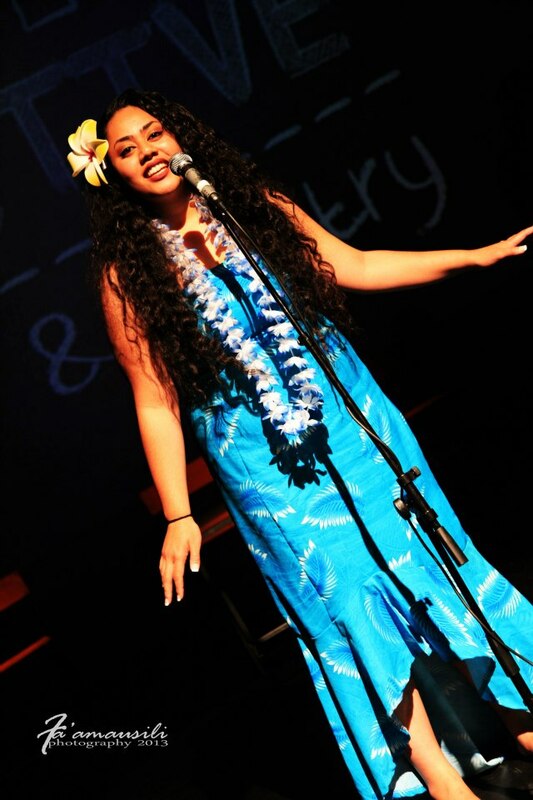 Olive during her most recent spoken word performance with SAPC at the Mangere Arts Centre 2013. Photo courstesy of Peniel Fa’amausili. Next month, Olive will be involved with an upcoming play entitled Mele Kanikau (from 2nd May 2013 to 5th May 2013) and she will also be involved with an upcoming SAPC event entitled Heartspeak (16th May 2013) featuring American Poets Carrie Rudzinki and Ken Arkind. Her schedule is filled with all sorts of creative passions. She is a vibrant young woman with big dreams. I am extremely proud to share her thoughts with you all. Enjoy! Please note: OA = Olive Asi and MP = Maryanne Pale. MP: Thank you for your time Olive. I truly appreciate it and I am excited to conduct this interview with you. Tell me, when did your love for performing arts begin? OA: Thank you for this opportunity. I am honoured to be featured on your blog and I appreciate this chance to share my story. Well, I think for me, it all began when I was very young. My older cousin Ioana use to babysit my siblings and I. Ioana recalls moments of where I used to dance and sing to the radio when I was still in nappies and apparently as a young child I would always be the entertainer for guests to our house lol! When I was 4 years of age, my family and I moved to Australia. So my first encounters with dance and drama took place while my family and I were living in Australia. When I was 9 years old, I joined tap and jazz with my bestfriend Gwen Sushinsky and together we danced for a few years. At age 11, I performed in my first drama play Hansel and Gretel and it was in full German dialogue lol! The play of course was for my German language class when I was attending Sandgate State Primary school. It was around that time that I had also joined the Brisbane Youth Choir. I have been blessed to get some early experiences in some areas of performing arts before my family and I moved back here to New Zealand. I then joined the hip hop group at school and thought I would be a back up dancer for Janet Jackson one day lol! While I was attending Manurewa High School, there were some drama workshops that had been advertised through the school and I decided to check it out and little did I know, that decision would change the rest of my life. I then auditioned for a show called the Girls Show in 2008 a landed a part. After that show I pretty much decided that I wanted to do more shows so I then started doing other shows with Massive Company, Black Friars and also A.T.C. 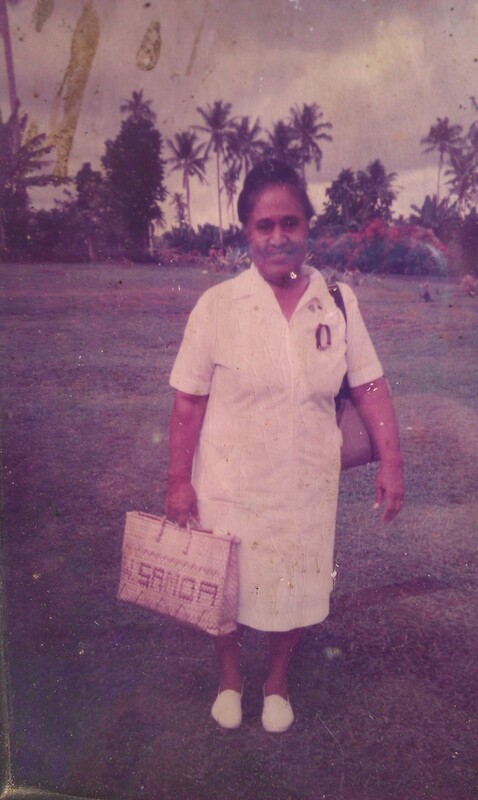 Olive’s Grandmother in her younger years as a nurse in Samoa. MP: That is awesome to hear. I can just imagine how were as a young child. You are of Samoan ethnicity, what does that men to you? OA: To me, being Samoan means honouring my past by acknowledging my ancestors and appreciating my cultural identity and embracing our beauty in the Pacific neighbourhood. Also, as a Samoan, I love our mother tongue, our skin colour, our thatched fale’s, food, music, dresswear, traditions and everything that makes us who we are as Samoans. I am proud to be Samoan! MP: Love it and I also love your name! Please share the story behind your name. OA: Well, my Mum named me after her Mother, Olive Momoisea. I am told the name carries a lot of blessings and it is a very beautiful name. My Mum tells me that I carry the same characteristics that my Nana had. In my Nana’s younger years, she was very ambitious, focused, hard working, driven, tough, caring and very loving. My Nana was a nurse in Samoa and during World War 2, she travelled to different countries to serve as a nurse. She is an amazing woman. My family and I recently travelled to Samoa to celebrate my Nana’s 90th birthday. We are blessed to still have her with us today. So I am very proud that I carry my Nana’s name and I want to live my life just as she has, with a lot of passion and integrity. MP: Aww that is truly special. Speaking of your family members, who has inspired you the most and how? OA: It would definitely be my Mum, Ausaga Momoisea. She has taught me a lot and still does every day. She reminds me to place God at the centre of my life and to keep in prayer about everything. She has always wanted the best for me. I remember at the end of my first high school production during the curtain call, I looked over to where she was sitting and all I saw was her smiling and crying in the front row. She is such a loving woman and she has stood by my side in every decision that I have made. I decided this year that I was going to do full time acting and poetry and do some part time work to get me started with my acting career and she just looked at me and said “That’s good, if you need help just let me know I am here”. It was at that point I was reminded of my Mum’s faith in me and my dreams. She continues to show her unconditional love. She is a prayer warrior my mother. There is not a day that goes by where I don’t kiss my mum goodbye before I leave to go and do my daily business. 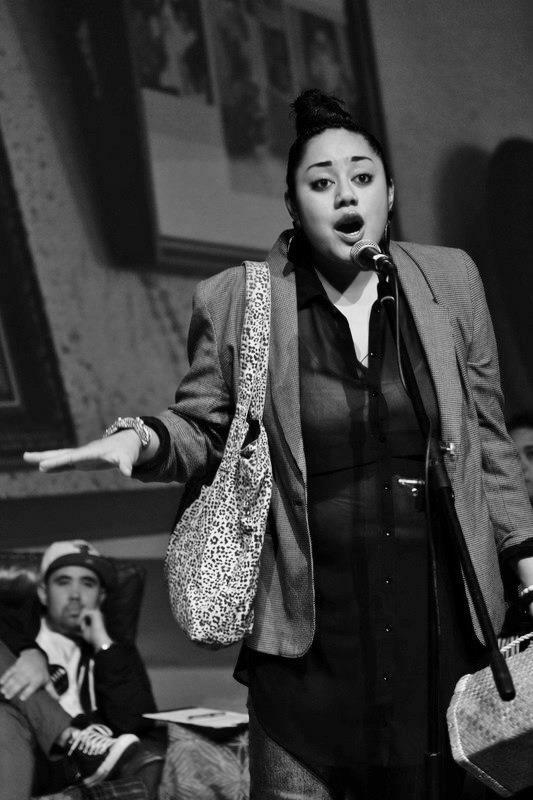 Olive during one of her many spoken word performance with SAPC at the Mangere Arts Centre. MP: That is truly heart-warming! Who has influenced you in the work that you do? OA: Definitely my family, my partner and friends (they all know who they are). They have all been an incredible source of encouragement and support. I will always be grateful to my family and friends for supporting me in everything that I do. I have had so many others who have inspired me along the way as well and I would like to mention some of those people. Tim Botting who was my drama teacher at Manurewa High School and he now teaches at Orminston Senior College. His encouragement helped me realise my passion for performing arts. Samantha Scott (Artistic Director at Massive Company) has provided me with the tools that I needed to get me started in this industry. Massive company really changed acting from a hobby into a career. Samantha taught me how to be me and that acting is hard work. 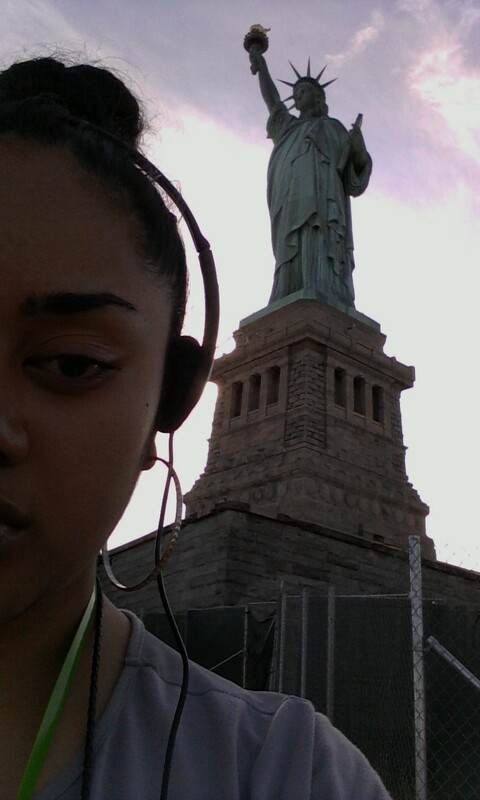 She reminded me that I have what it takes to get there. She listened and read my stories and she always made time for me. Michelle Johansson (Tutor at the University of Auckland, a member of Black Friars and also the director of the upcoming play Mele Kanikau) allows me to add my extra flavour to the team and she provides opportunities for me for which I am grateful for. She has shown me so much kindness in the performing arts industry. Grace Taylor and Daren Kamali (Founders of Niu Navigations) introduced me to spoken word. I consider Grace to be an older sister as she has always supported me through my highs and lows. For that I will always be her “Bub”. And of course my SAPC family – you all are my 2nd family. Thank you all for letting me be me and for constantly supporting me along the way especially when I am involved with a theatre play. Olive with fellow poets and friends Onehou Strickland, Grace Taylor and Daren Kamali. Photo courtesy of Rawhitiroa Photography. All these people that I have mentioned may not know it but they have taught me a lot and I am inspired by them. Through the good and bad they continue to support me with words that empower me to keep pursuing my dreams. They have never stopped believing in me and the vision that I have for my future. Acting is a difficult career to maintain so family and friends are always the best to keep around. I am blessed. MP: Fantastic! It’s good to see that you have a strong support system in place. SAPC was formed in 2007 by our co-founders Grace Taylor, Daren Kamali and Ramon Narayan and you were one of the original poets. Tell me a little bit more about this and please describe what spoken word means to you. OA: Cool, so at the time SAPC was formed, I was 17 years of age. We had our first spoken word gig in 2008 at the Splore Festival and it was awesome! That’s how my love for spoken word all began with me. Since then, poetry has become my form of expression and through spoken word I am able to creatively share my story and it allows people to see me for who I am. For example, I wrote my Father’s piece called “Golden Hands”. That piece is one of my works that I hold very dear to my heart and quite personal. Also, for the last SAPC show I performed a spoken word piece which was something different to what I usually write as I wanted to creatively express more of myself, it’s called “Ladies Bay”. For future work, I would like to take different risks with my writing in order to bring out what makes me unique as a performance poet. MP: That is wonderful to hear! I love your piece “Ladies Bay” and I am looking forward to hearing “Golden Hands”. Last year, you travelled to the USA with the SAPC poets. Please describe your experiences and what that trip was like for you. OA: Awww the trip to the States has been a dream of mine for years! I am so glad that I went! Actually, I am honestly still surprised that I was in the States hehe! Everytime I see New York on TV and say OMG I was there and my family members would always say ‘Yes, Olive, we know!’ haha! The trip was an eye opener for me and the experiences that I had there enabled me to really focus on what I want to do in the next few years and where I would like to be. The trip empowered me to stay focused on what is important and I am more motivated to work harder towards achieving my goals. Olive during her USA trip with SAPC. MP: Very encouraging indeed. How does it feel for you to be in the performing arts industry? OA: Well I feel very privileged and blessed to take the stage when I am provided with an opportunity to do so. When you work hard towards something the chances of you receiving the results that you want will increase. I love the world of live theatre. For example, the feeling before you hit the stage is like you are in countdown mode and you are filled with nerves and full of excitement and then once you are in the light, the nerves disappear and you are left with that feeling of certainty, that this is what you want to do for the rest of your life. That’s what I experience for both theatre and also for performance poetry it is a very similar feeling. Also, right after the premiere of each theatre show I feel a little more relaxed and not so tense for the rest of the show but I guess the first show is always the ice breaker and this is the most important night ever. There are many more amazing people in the industry that I have met and have been able to work alongside such as writers and directors as well as emerging artists. They all remain as good friends of mine and I hope that will be work once again in future projects. Olive with some of the cast members of the theatre play USO. MP: How exciting! Keep up the great work! So how do you prepare for auditions? OA: Thank you hehe! Well for me it’s really about finding out about the role and doing research about the script as well. I spend time learning the lines “off the book” and then I take it to the next level by dressing up as that character if I wanted to and just before I go in front of the panel I get into my zone. MP: And how about the rehearsals, what are they generally like? OA: Well, rehearsals are exciting! Depending on how long the season is and how big the show is, rehearsals can be intense and exhausting. We can have rehearsals that go only twice a week to six days a week until the actual show. It’s normally during this period that I train and eat well and I make sure that I am not only prepared mentally but physically as well. Water, fruits, veges, exercise and sleep become my best friends lol! For now I’ll be focusing on acting and poetry but I would like to explore writing and/or directing in the near future. I can see myself in film and tv. I guess I have learnt that anything is possible but with God being the foundation of my dreams and also his purpose for me. 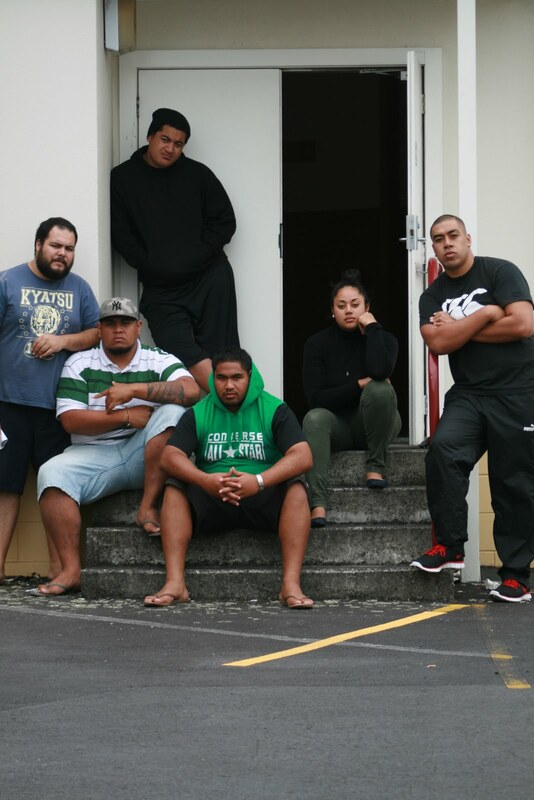 MP: You are in an upcoming play, Mele Kanikau, which is set to take place next week from Thursday 2nd May 2013 to Sunday 5th May 2013. You must be so excited! Please share about your involvement in this play and what this play is about. OA: Yes, I am really excited about this upcoming play. I am also honoured to be a part of it. I play a character called Lydia Jenkins who is the Alii (Hawaiian Queen) in the play. My character is very outspoken, demanding and bold hehe! Mele Kanikau (anthem of lamentation) – A Pageant is a Hawaiian story written in 1975 by John Kneulbul and directed by Michelle Johansson who I mentioned earlier. Set in Waikiki, A Hula Pageant is rehearsed for the tourists on the island. It is a Hawaiian story, told through hula, about culture and the loss of culture with many themes that will be easily relatable for most Pasifika people. MP: Sounds great! I’m looking forward to watching Mele Kanikau. What would your words of encouragement be for the youth who might be interested in performing arts? OA: Coming from a Christian background, I have been taught to always have God at the centre of your vision and I would encourage the youth to do the same. Also, believe in yourself and focus on the things that will help you move forward with their goals and dreams. Don’t let others with negative motives hinder your spirit and your faith in your talent. It’s a difficult industry to be in but if you really do have a passion for any of the arts then never let anything become an excuse for you to not be able to reach your potential! You deserve to shine! MP: Thank you once again for your time, I truly appreciate it and I wish you all the best with the upcoming theatre play Mele Kanikau. I have a final question, if there was a song that would describe your life at this point of time, what would it be? OA: Oh! Thank you! I’ve enjoyed this interview hehe! Thank you for this opportunity once again. I am honoured and very grateful to you. The song I would have to say that would describe my life right now would be “Smile” by Kirk Franklin. It reminds me to always put my best forward. Sometimes things may work out and other times it may not but the main thing is to keep trying, or as the song says, “smile”. I am grateful for all the blessings that I have received. If you are in Auckland, you can find Olive in the upcoming play Mele Kanikau (anthem of lamentation) – A Pageant is a Hawaiian story written in 1975 by John Kneulbul and directed by Michelle Johansson. Hawaiian dance and music weaves throughout the story. A live band, led by Musical Director Misipele Tofilau, play traditional Polynesian instruments and accompany mesmerizing Hula dancers as they dance Hawaiian hula – both modern and ancient. Lead Cast: Leroy Lakamu, Rob Williams, Ana Corbett, Lauie Sila, Olive Asi, Ole Maiava. For the upcoming South Auckland Poets Collective show Hearspeak that Olive will also be a part of, please visit www.sapcnz.com for more details. Olive, you put me in tears – I am growing with you and I am so inspired by your ambition. I am so in awe of the woman and artist you are becoming , and it all makes sense to me that you are strong because of who your mother and grandmother is! I’ve passed your message onto Olive and she will reply as soon as she gets the chance. Great piece about my Momoisea side…I can testify about Olive Momoiseas dedication and passion to help others as she helped our family in our time of need ( my Granddads cousin)…proud of Olive Asi her work speaks volumes and so young at that. Please support the family in the creative arts. Well written MaryAnne! !